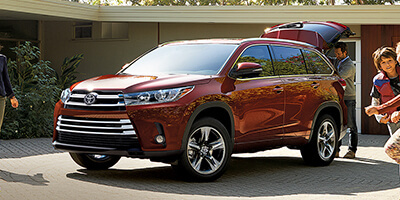 Whatever your vehicle needs, the 2019 Toyota lineup has you covered. Offering everything from sporty coupes to heavy-duty pickups, Prince George Toyota has a new ride that’s a perfect fit for your lifestyle. Browse our new models below or contact us to book a test drive today! 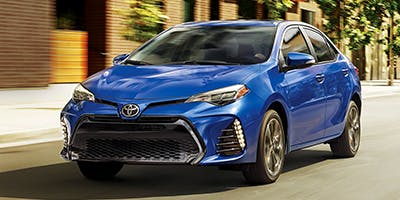 Modern design at an incredible price, the 2019 Yaris is what every other compact car wishes it was. 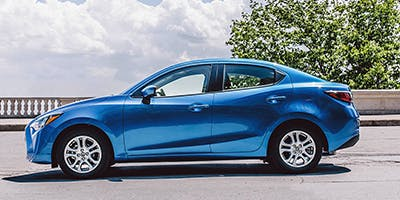 Both safe and sleek, this fuel efficient ride is packed with features that will satisfy even the most tech-savvy driver. 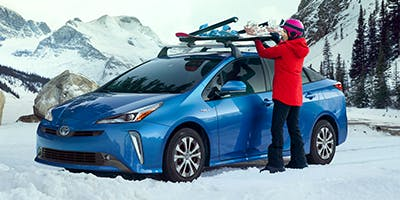 Tackle anything in front of you with all-wheel drive, available in the 2019 Prius. Everyone’s favorite hybrid just got tougher, and with ample space to fit cargo, the adventure awaits! The standard sedan that the nation favours now comes with more comprehensive safety and a stylish design. Enjoy the reliability of the Corolla you know and love with the comforts of today. 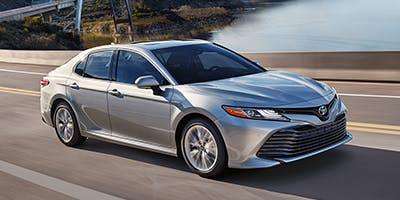 The Camry’s fresh design from last year has received even more fine-tuning, giving you a ride with cutting edge technology and a wider body. 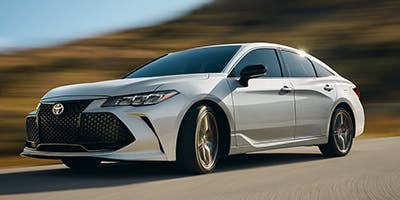 Jump into a world of luxury with the all-new 2019 Avalon. Toyota’s top safety tech meets the epitome of opulent design in this restructured premium sedan. Switch things up in the funnest crossover around! 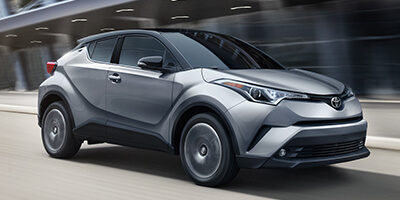 The 2019 C-HR has a bold design and is available in colours to suit everyone’s style. Expressing yourself with your Toyota has never been easier! 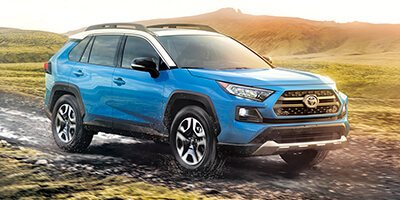 The best-in-class RAV4 is getting even better with a completely new design for 2019. Come experience the trail edition, hybrid model, or base version of this entirely upgraded vehicle. The ultimate in family SUVs returns, providing top safety features and tonnes of power under the hood to get you where you need to be. For the driver that accepts no limits, the 2019 4Runner delivers. 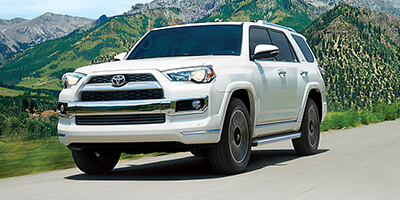 With a V6 engine, one-touch 4 wheel drive and a tow package all offered as standard features, the 4Runner is built to charge through the roughest terrain. It’s big, it’s beautiful, and it’s ready for anything. 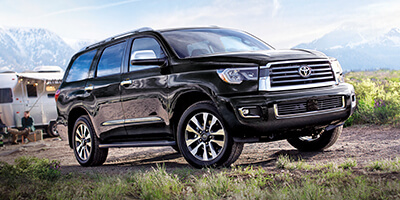 The 2019 Sequoia gives you all of the space, horsepower, and luxury that you could possible desire. 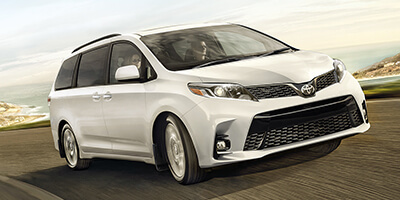 The minivan that has it all -- the 2019 Sienna boasts all of the features you need to keep your family entertained for any road trip. Plus, it comes with Toyota Safe Sense, protecting your precious cargo along the way. 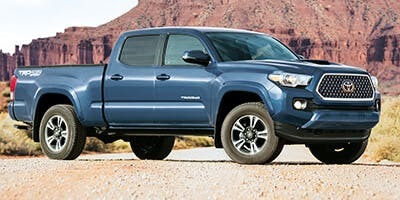 With 80 years behind it, the Tacoma returns, bringing top engineering and durability to the table once again. This midsized pickup gives you 9.4 inches of ground clearance, making it the choice for off-road duty. 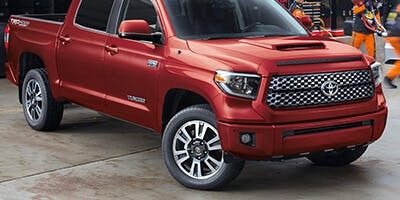 Handle any job ahead of you in the 2019 Tundra. This truck blends luxury with power, giving you a vehicle that is capable of any task that lies ahead of you.